Demographics Groups… Traditionalists 1900-1945, Baby Boomers 1946-1964, Generation X 1965-1980, and Millennials 1981-2000. It makes sense that demographics play a big part in kitchen remodeling, especially when it comes to particular styles and finishes. One of those said demographics is the millennial generation, which came of age at the beginning of the 21st century. 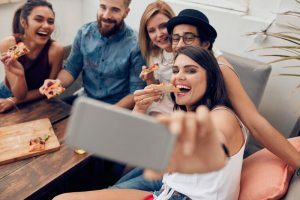 In fact, there are more millennials at 75 Million, than Baby Boomers at 70 Million these days, which means their voices—and tastes—have a noteworthy impact on social and consumer trends. What Would a Millennial Do? Case in point? The choices millennials make as they buy homes and fix them up are quantifiable in housing and design surveys. If you’re designing a kitchen today and there’s a chance your home will go on the market in the near future, you may want to ask, “what would a millennial do?”. In answer, we’re sharing here is some data-proven trends driven by Millennial homeowners. When it comes to decorating, millennials are charting their own course. This is a generation with a well-developed sense of taste, that follows fashion and style, but also wants good looks at good prices. He would go out on a higher-budget kitchen. According to the National Kitchen and Bath Association, “…millennials spend an average of 17.7 percent more than the $19,155 typically invested in a kitchen remodel, and 42.3 percent more than the $11,364 normally allocated to remodel a bathroom.” That translates to kitchen remodels that cost an average of $22,508. If that’s a little steeper than you have available for your budget, don’t worry. Options such as cabinet refacing will save you thousands so you can spend them on other, luxury items. While they may be spending more money than the average Boomer, Gen X , Millennial are doing it smartly. They’re planning kitchen remodels spanning longer than a few years’ worth of trends, using timeless design tenets that will remain stylish for 10-years or more. The new grays that have gained wide appeal have become a standard base for the millennial palette, along with more whitewashed gray variations, other soft neutrals and cooler whites influenced by Scandinavian decor. Bolder pops of color on accent walls are a popular counterpoint, and colorful wallpapers are also making a comeback. This isn’t a generation that necessarily grew up with wallpaper, so they think it’s new. The most popular built-in features for millennials were pantry cabinets and islands, appearing in 2 of 5 renovated kitchens, and younger homeowners were much more likely to install an island than older homeowners (49 percent vs. 36 percent, respectively). They are a must-have in a millennial kitchen. Millennials really do value that extra counter space. Also the increased storage and space for shi-shi coffee machines and high tech kitchen gadgets. About a third of the millennials surveyed splurged on custom cabinetry (vs. 42 percent of baby boomers). Millennials are going into their kitchen remodel with a sort of understanding that they want to make the kitchen as perfect as they possibly can, because they are going to be utilizing it for a long time. Although contemporary is the most popular style for kitchen remodels across all ages (26 percent among millennials and 24 percent among baby boomers), younger homeowners are more likely to try a modern (19 percent) or farmhouse style (14 percent) for their renovation as opposed to boomers, who are more likely to stick with a traditional style (14 percent compared with 8 percent of millennials). Sounds like they appreciate the homeyness of Grandma’s kitchen, but with all the contemporary perks. Look and feel (72 percent), and durability (53 percent) were the driving factors for choosing a counter top material, far ahead of cost (21 percent), and quartz and granite reign supreme as the most sought-after materials, across all ages. He would choose quartz over granite. Millennials appreciate quartz’s durability longevity and low-maintenance benefits, as well as its multi-faceted beauty. Millennials prioritize look and feel over price, and they’re also more apt to go outside the counter top norms, selecting butcher block or laminate options. Are you interested in designing a kitchen that a millennial would be proud of? Our design professionals know the trends that will inspire homeowners of every generation!